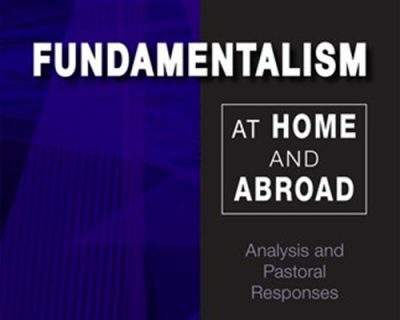 Fr Gerald Arbuckle received a letter of thanks from Pope Francis, for the gift of his recent book “Fundamentalism at Home and Abroad: Analysis and Pastoral Responses“. The Holy Father appreciates the sentiments which prompted the gesture; Chapter 4 of the book is entitled: Catholic Fundamentalism: An Analysis. The message was conveyed via the Secretariat of State. In the book, Gerald Arbuckle argues fundamentalism is not just a radical form of Islam but is a reaction to cultural chaos. He goes on to label fundamentalists as dangerously simplistic people who fear a loss of identity. He says they use words, recourse to the ballot box, or, in extreme instances, bullets and bombs. The views are similar to those expressed by Pope Francis to journalists on a plane trip home from 2015 trip to Africa. Gerald Arbuckle is co-director of Refounding and Pastoral Development, a research ministry, in Sydney, Australia. An award-winning author, the New Zealand Marist priest is internationally known for his expertise in helping church leaders minister effectively in a postmodern world. The Marist General Chapter delegates attended Mass and an audience with Pope Francis on October 5. At the end of Mass the Pope addressed a special greeting to the ‘Chapter of the Society of Mary’, and he encouraged Marists to “promote our charism in a spirit of service and fidelity to the Church”. 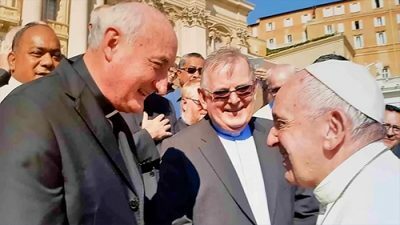 At the end of the audienc, the Chapter with its secretaries and the representatives of Marist Laity gathered on the steps of the sagrata where they were joined by the Pope. Former superior general Fr John Hannan introduced the new superior general, Fr John Larsen to him. Pope Francis asked Fr Larsen where he intended appointing his predecessor. The General Chapter also elected Frs John Harhager (USA), Ben McKenna (Oceania), Juan Carlos Piña (Mexico) and Paul Walsh (Europe) were elected as Fr John Larsen’s (Asia) general councillors. Fr Harhager is vicar general.